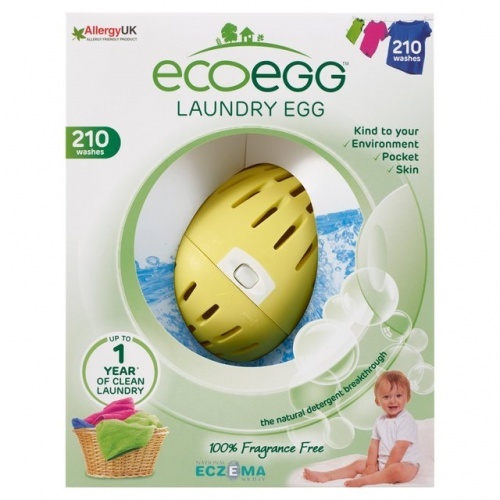 The ecoegg antibacterial wood fibre cloths are made from eight layers of natural wood fibre making them super absorbent and great for cleaning all around the home. These tough, reusable cloths wipe up bacteria and grime, rinse clean, and then keep on going. Incredibly, they’re proven to remove 99% of bacteria with water alone, there’s no need for any chemicals. You can keep your kitchen germ-free without using harsh chemicals. They are odour and stain resistant too. Just rinse under warm water and you’ll remove not only any residue but also 99% of bacteria, so you’ll always have a fresh cloth ready to go. You can wash them in the washing machine too – they’re fantastic quality and will last for years. I watched the video before the purchase and I have to agree - this cloth is much more absorbent than the other cloths I used before. Also, it doesn’t stain easily like the other ones. Can’t speak for the bacteria though Great product, thank you! I love this cloth. It's strong but soft. It washes well too. It does stain though and doesn't always wash out but this isn't an issue for me. I've bought a second packet as spares. I got these a couple of weeks ago and so far I love them. They are soft but very strong to get the job done and they wash really well in the machine.